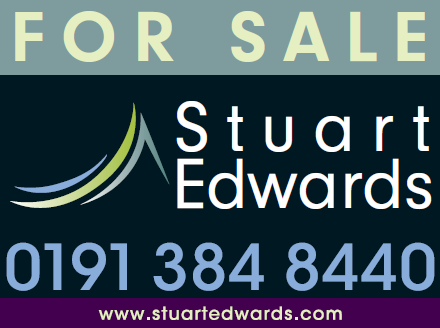 Stuart Edwards Estate Agency undertake the sale of residential property, ranging from small flats to prime residential property throughout the area of County Durham. We pride ourselves in offering a professional service at a competitive price. Our family run business is made up of friendly, professional people who have extensive experience of the housing market. We understand estate agencies come and go, but Stuart Edwards Estate Agency has consistently secured high levels of sales throughout a 40 year period. Having confidence in your estate agent is vital, we'll support you all the way and respect the emotional journey buying and selling a home can take you on. It takes skill and expertise to negotiate a sale successfully through to completion and still achieve the best possible price. Through training and experience our sales team offers expert advice on both the selling process and your legal obligations. Our simple aim is to achieve the best price for your property in the shortest possible time frame. We are proud to be affiliated with the UK's leading property websites. Our properties are displayed on On The Market, Rightmove and many more. • Regular contact to ensure an up to date record of events. • No sale - No fee. • A contract term to suit your need.